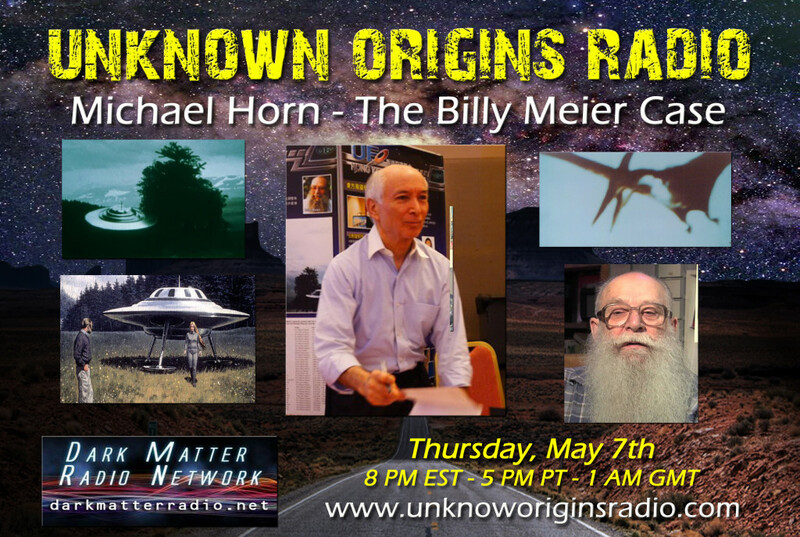 Michael Horn joins Michael Vara to discuss Billy Meier and his UFO experiences, alien contacts, prophecies and more. His picture gallery can be found at his website. The prophecies of Billy Meier can be found at his website They Fly. Michael Horn spoke about the prophecies given to Billy Meier that have come true and that are soon to come true. Is it just another pseudoscientific claim or a genuine prediction? On May 4, 2015, Billy Meier's American media representative Michael Horn has published an article titled - New Confirmation of Billy Meier’s Warnings about Apophis. 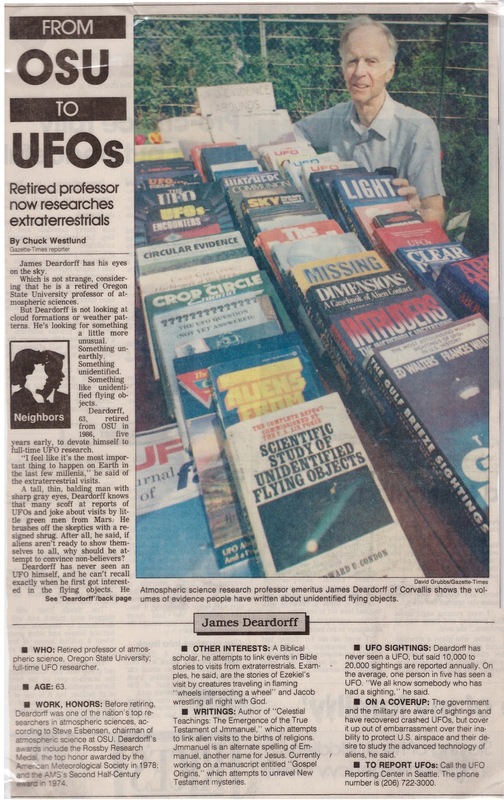 Any person who is already familiar with Meier's prediction on Red Meteor or Asteroid Apophis, after reading Michael Horn's latest article title, one might get the impression that we were at least FINALLY provided some real, tangible, strong evidence that scientifically establishes Billy Meier's contacts with Plejaren extraterrestrials. Important note: The main assumption made by Michael Horn that Red Meteor that was mentioned by Meier in his contact notes years earlier is indeed the asteroid Apophis - will be dealt towards the end of this article. For now we will just restrict our discussion with the two main claims made by Michael Horn in his latest article. "In order to immediately establish the fact that Meier published his warnings about the Red Meteor (known to us now as Apophis) long before "official discovery", I direct readers to the easily established fact that this warning (in addition to the referenced transcripts below) appears on pages 316 and 317 of Guido Moosbrugger's book, And yet...they fly! - first published in English in September, 2001...three years before Apophis was discovered by terrestrial scientists. It also appears on pages 265 and 266 of And still they fly!, - published in 2004. However, both of these books are the English language translation of the orignal German language book, first published by Guido Moosbrugger in 1991....13 years before Apophis was discovered by terrestrial scientists. It is, therefore, absolutely ironclad, copyrighted, published proof of the Plejaren's and Meier's prophetic accuracy and truthfulness." Are the claims made in the above correction true? "I don't remember at this time. I have so much to do now that many things from the past are not in the forefront of my memory. I could have gotten it from someone else, Dyson, etc. Of course if it is in the book that's great." "I don't own, nor do I have access to, Und Sie Fliegen Doch .."
Who- or whatever the source may be, for some reason Michael Horn didn't make the amendments then. Michael Horn argues that since 'Red Meteor' information was published - for the first time in 1994 (1991 to be exact), a year before the Torino scale was created in 1995, 3 years before it was first appeared in print in 1997 and 5 years before it was officially adopted by participants of the June 1999 international conference for NEOs, held in Torino (Turin), Italy - this "new" information provided by Matthew Knight "supports Anton Hahnekamp’s theory that there could be a connection between referring to Apophis as the Red Meteor and the Torino scale." Michael however acknowledges that this connection "still remains speculative." "People may wonder why...they would refer to Apophis initially as the Red Meteor. But an Austrian physicist has suggested that, by doing so, they were giving our own scientists a hint as to the absolute certainty that the object will collide with Earth if not deflected. In order to appreciate the very real possibility that this is the case, please read this information on the Torino scale. This may be an indication that, occasionally, we have to use our own minds to not only figure things out but to appreciate the intelligence of those who wish to help us...to help ourselves. And it should be further noted that the Torino scale was created by scientists in 1995, again, years after Meier's information was first published. (NOTE: Aren't scientists always wondering if extraterrestrials will be "smart" enough to recognize our radio frequencies, or refer to some common scientific or mathematical standard, to make contact with us? Well, do we think that they may have passed such a "test" by pointing to a color standard that our scientists would use to identify an object that would hit us with absolute certainty? And might we take notice of the fact that they did that years before that standard was even created?)." "Did Billy gave the reason why Apophis asteroid was called as "Red Meteor" ? Some are speculating that the RED in 'red meteor' indicates the danger level in the scale of Torino scale( a method for categorizing the impact hazard associated with near-Earth objects (NEOs) such as asteroids and comets). Even though, Apophis is considered an asteorid by scientists, Plejaren chose to call it a meteor. So, some say that since Apophis is similar to LL chondritic meteorites, plejaren might have used that name but others reject that proposition. So was there any explanation given for why Plejaren used the name 'Red Meteor' for Apophis asteroid?" Christian in response to my question however expressed that the 'Red' in 'Red Meteor' could be indicative of the color of the meteor rather than the danger level on Torino scale. Hopefully, dear reader, I don’t have to point out how much of a retrodiction this is. But, just to name a few reasons: Meier could have picked “red” because historically it’s a color of destruction. He could have picked red because many people think that Planet X is red. He could have picked red just on a whim. He could have picked red because it’s a “danger” color and most scales use red for bad things – just look at the dashboard of your car. In short, entertaining this idea of the Torino Scale as the reason why an alleged alien allegedly told Meier that an object that will hit Earth is called “red” is one of the largest stretches of correlation that I’ve heard. (Source: Common sense.)" Now let us move onto other claims made on Red Meteor by Michael Horn and others. as death-missile it crashes on the Earth. it brings a deadly destroying seed. their misery upward to Creation in heaven. about the love-request, which they broke. because all-the-while love was all the same to them. allows a few to find their way back to the greatest One. * Meier allegedly receives these prophecies from the highly evolved spirit level ‘Petale’ in a telepathically transmitted symbol language, which he then has to interpret and write down in German. "I am also now posting an even earlier warning from Petale, in poetic form, that was published by Meier in 1976 in the same document with the 1981 warning, which I first read in 1986"
Obviously, this prophecy is far too general and unspecific to be tied to any asteroid or comet in particular. Ironically this is illustrated by the fact that this prophecy was already earlier linked to an asteroid other than Apophis in an article by FIGU Core Group member Bernadette Brand in Stimme der Wassermannzeit, Nr. 78, pg. 23-27, March 1991 titled ‘Erfüllt sich bald eine weitere Prophetie?’ (Will another prophecy be fulfilled soon?). In this article the above Petale Prophecy was linked to the asteroid (4953) 1990 MU, discovered on June 23, 1990. One reason she linked this asteroid with the Petale Prophecy could be because of the hint in the fourth line, which says that the time of impact would be “in the year of the three-value”. This means that the all digits in a year should count up to three, According to the articles mentioned by Brand published in the newspapers the Tages Anzeiger (Zurich) and Der Landbote (Winterthur) on August 20, 1990, it was initially speculated that it might impact with the Earth in 1992 (or several thousands of years later). When we add all the individual digits of the year '1992' we get 21 (1+9+9+2) and then if we again add those remaining individual digits of '21' we get 3 (2+1). 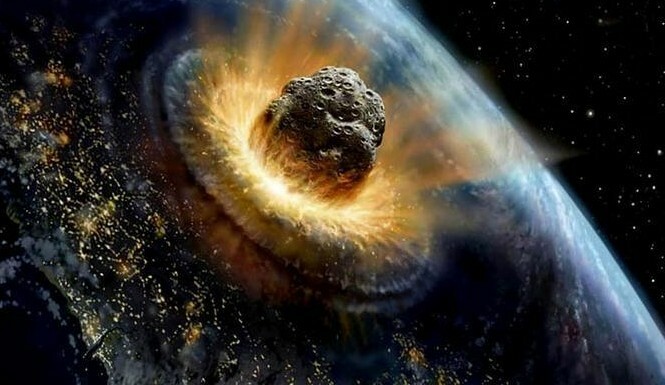 Of course, this would also fit with many other years, for example 2001, 2010, 2019, 2028, 2037 etc., so any asteroid or comet that would come dangerously close in those years would fit the prophecy, at least until it has passed and didn’t impact on Earth. This link lists all the predicted close encounters by Potentially Hazardous Asteroids (PHAs) within 0.05 AU of the Earth from 2014 through 2178. Many PHAs are listed there that will closely approach Earth in the years with a ‘3’ value. This renders the scientific validation of the Petale prophecy as null since it can be recycled again and again for many countless years. Now back to Michael Horn’s claim. 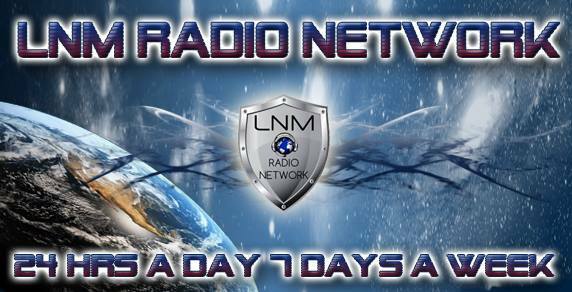 On the radio show Coast to Coast AM on July 28, 2004 (just after 1:05:00 minutes into the show) Michael mentioned that the Red Meteor might come dangerously close or may impact the Earth in a year with a numerological value of '3' and gave two examples, 2010 and 2019, for illustration purposes. However, according to the information conveyed to Meier by the Plejaren in 2008 (CR 471), the years in which Apophis will come close to Earth are given as 2029 and 2036, which yields the values of 4 and 2 respectively, but not 3. The first year with a 3 value in which Apophis will approach Earth will be 2091, but for 2029 and 2036 this prophecy obviously cannot be linked to Apophis. Even though the information from CR 471 clearly contradicts the information from Petale Prophecy, Michael Horn/Billy Meier seems to have no qualms in promoting the information contained in both the CR 471 and the Petale prophecy together. April 19, 2008 – 270 meters: How Big is Apophis? To illustrate how long an obsolete value is still used by media, check this article from December 30, 2014, which still mentions a size of 350 meters, despite linking to a NASA page which mentions a size of 330 meters (325 rounded to 330). If one would have done a quick internet search during the period 2008-2010 period for the size of Apophis and accept the first value that shows up, one would most likely end up with either 270 or 350 meters. This doesn’t conclusively prove Meier got his information on the size of Apophis from news articles etc., but it also certainly isn’t clearly evident that he got it from extraterrestrials, to say the least." Information from Meier's Contact Report 544 (September 2012) and CR 150 (October 1981) contradicts the scientific consensus on the origin of Apophis and also the most established fact in astronomy, which is the origin location of asteroids in our solar system. "According to Quetzal in CR 150 the Red Meteor "approaches from the depths of outer space towards the SOL-system and is a so-called stranger (German: Fremdling)" and it "travels on a path, which leads it to the SOL-system for the first time." In CR 544 Ptaah confirms the Red Meteor is from the Oort cloud. This seems to be contradictory, as the Oort cloud is considered as the outer boundary of the Solar System, still a part of the Solar System. Nevertheless one could also argue that the Oort cloud region is considered as ‘the depths of outer space’, since the border between the solar system and ‘outer space’ cannot be clearly defined. Or maybe the Red Meteor came from other systems and spent some time in the Oort cloud before entering the inner solar system for the first time. But does this information actually fit with Apophis? Apophis asteroid belongs to a group known as Aten family. These do not belong to the asteroid belt and their orbits are at least for the greatest part within the orbit of the Earth, resulting in orbital periods of less than a year. The first illustration below shows the region where these asteroids orbit around the sun. According to the The SAO Encyclopedia of Astronomy, “although some are no doubt extinct cometary nuclei, it is now thought that the majority originate in the main asteroid belt.” The second illustration shows the orbit of Apophis. As can be seen its orbit is relatively circular and lies within the ecliptic plane. Objects originating from the Oort cloud are typically long period comets (only roughly one to two percent of the Oort cloud objects are asteroids) with highly elliptical orbits which come from all directions, while Apophis is an asteroid with with a rather circular orbit in the ecliptic plane and an orbital period of less than a year. These facts speak strongly against an origin from the Oort cloud and that it would travel “on a path, which leads it to the SOL-system for the first time” as Quetzal states in CR 150. The Aten asteroid group (shown in green). The Sun is in the center, with the planets Mercury (black), Venus (yellow), Earth (blue) and Mars (red). According to your information (Contact Report 544) the Red Meteor/Apophis has an origin in the Oort Cloud. …Dazu dann auch gleich die Frage in bezug auf den prophetisch angekündeten Roten Meteor: Kommt dieser auch aus der Oortschen Wolke? 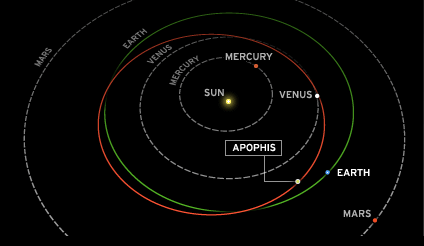 Likewise according to science, Apophis has rather a short orbital period (less than a year) and rather circular orbit within the ecliptic plane. And it is referred to as a near-Earth asteroid belonging to ATEN group – broadly speaking asteroids that are inside Mars orbit. See the following link for Apophis orbital path. How do you explain this apparent discrepancy? Practical everything (all such objects) comes from the Oort Cloud / Kuiper Belt. And regarding the Red Meteor it can be assumed that Ptaah is more knowledgeable in astronomical matters than terrestrial scientists. Meier in his first statement apparently states that all objects such as meteors, asteroids and comets originate in the Oort Cloud or Kuiper Belt. Though it is true that the origin of comets is attributed to both Kuiper belt and Oort cloud, it is patently absurd and wrong to say that all the asteroids too originate in the Oort cloud or Kuiper belt since the basic astronomical science indicates that a vast majority of the asteroids originate in the inner solar system and primarily orbit in the asteroid belt between the orbits of Mars and Jupiter." Now the answer to the sub-title of this article - 'is it another pseudoscientific claim or a genuine prediction?' - is obvious and strongly points to a pseudoscientific claim. For other pseudoscientific-claims on the Red Meteor's potential impact location and the most important one - the connection between Meier's 'Red Meteor' and the Asteroid Apophis, visit BMUFOR.